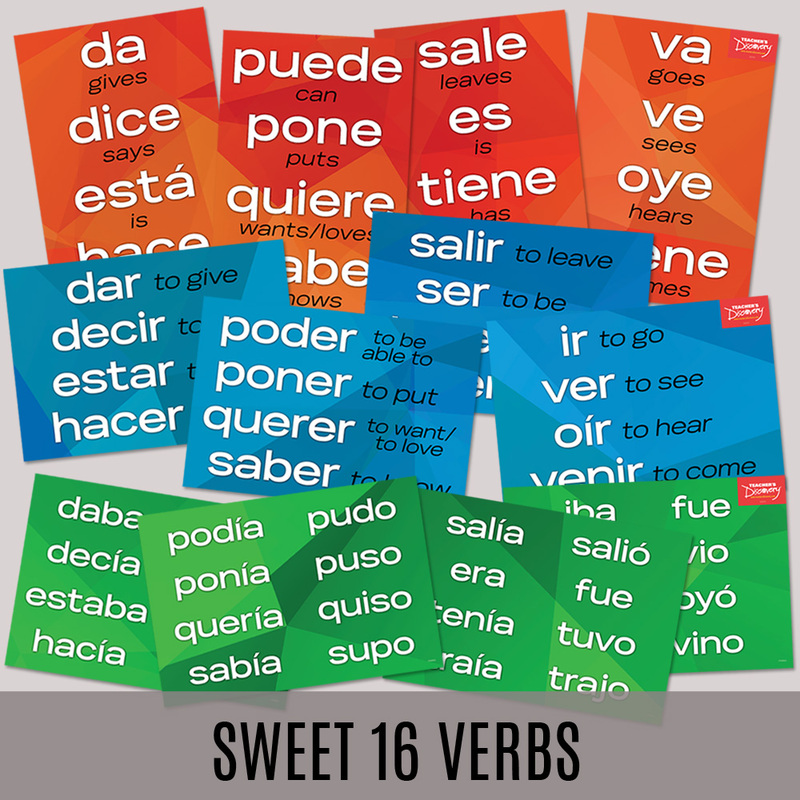 Immerse students in stories that help them learn something new grammatically and culturally. 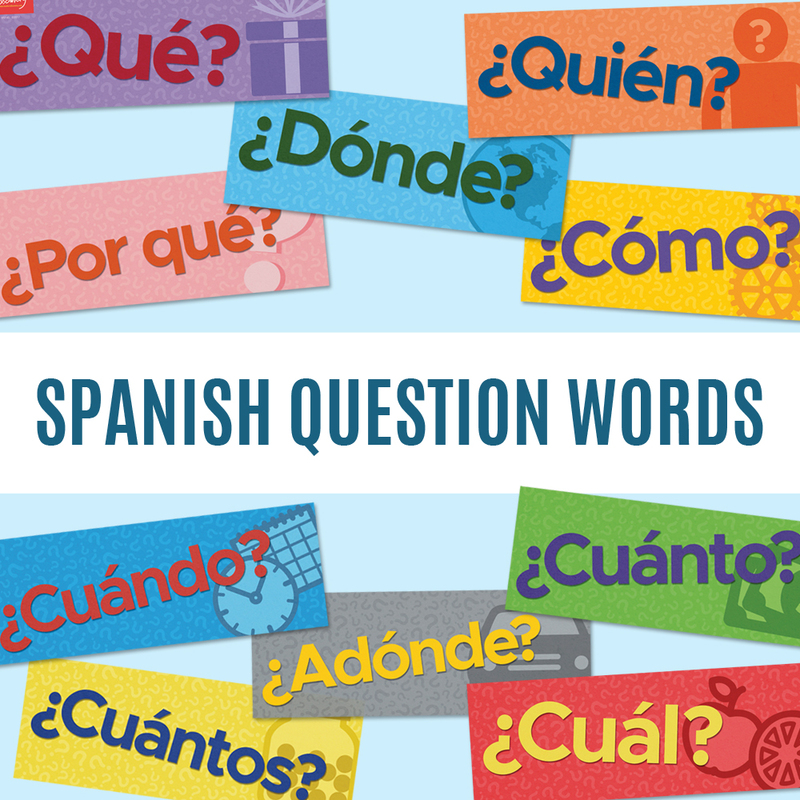 Read the story of the three little pigs, explore the origins of the word “gringo,” talk about the eating habits of famous tennis player Rafael Nadal and more—all the while providing students with ample exposure to language features they need to master! ©2016. Spanish, English. Level 1–2. Beginner, Intermediate. High school. 163 pages. Print Book: Spiral-bound with CD (CD contains PDF of book). 9 x 11 inches. Adobe® Reader® required to view PDF. Martina Bex is a Spanish teacher with a passion for comprehensible input; in particular, for finding ways to explore culture in the target language beginning in Novice classes. Was disappointed with the layout of this book. Didn't find that it was as useful as I had anticipated. 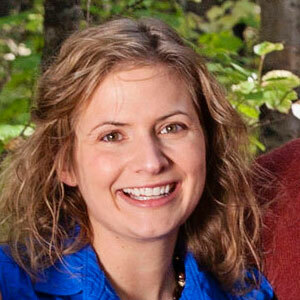 Staff's Response: Hi Selena, Thank you for taking the time to share your review. We are sorry you were disappointed with the book. Teacher's Discovery has a 100% satisfaction guarantee on the products we offer. Any time a product doesn't work for you, you may return for an exchange, replacement, credit, or refund of the purchase price. Customer service is here to help you with your return. Contact us by phone at 1-800-832-2437 or by email at orders@teachersdiscovery.com. Thanks again for your feedback. Overall I enjoy this book! I use it to help introduce new topics since it has guided notes and TPR stories. I haven't gotten the chance to really sit down and go through it but I plan on doing so over winter break. So far I am very pleased with my purchase! I'm thoroughly disappointed in this purchase. This book is nothing but drill and kill. 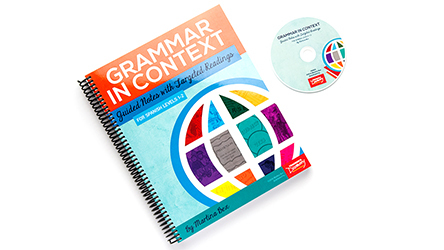 I thought by the title I would be receiving TPRS material to teach grammar in context. The stories referred to are short uninteresting paragraphs. This purchase seems like a ploy to get me to purchase more of Bex's materials. This is because, before many of the "lesson plans", Bex recommends teaching TPRS stories, which she sometimes lists and are at an additional cost. She recommends using the notes in this book I purchased AFTER you purchase her other materials and units. I already have grammar notes sheets and book activities. I thought this book would give me scripts of stories but it doesn't not. Staff's Response: I'm very sorry to hear that this product was not what you were expecting. We have an unconditional 100% guarantee, you are welcome to a return and refund any time you're unsatisfied. Thank you for taking the time to tell us exactly why the product is not what you were looking for. Based on your comments, we are considering changes to our advertising to prevent others from having the same experience. 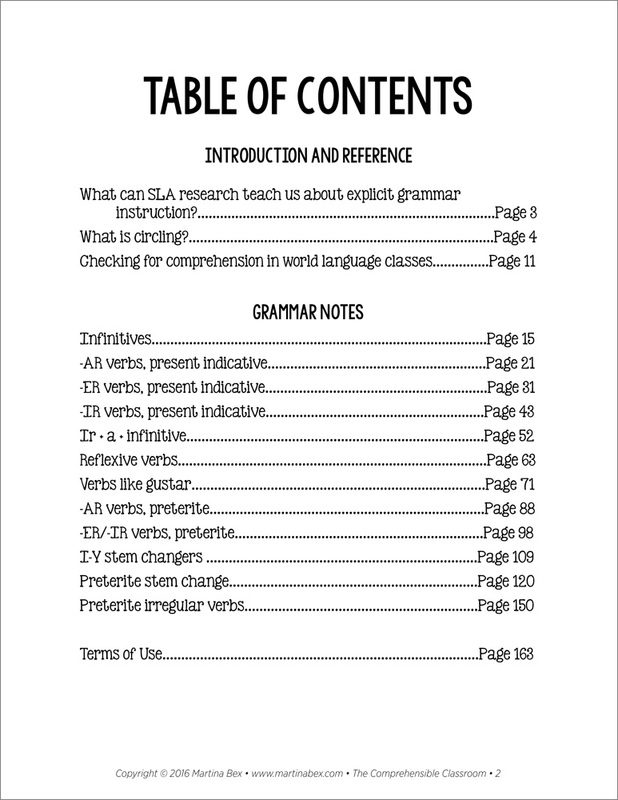 We're looking to include more detail about what is and what is not contained in the book, in order to make clearer that it is supplemental and intended to be used in conjunction with other materials and activities (which may or may not include use of other materials Martina has authored and suggests to accompany them), not a complete curriculum; intended for use after students have had input that contains the grammatical structures the book covers; and contains targeted readings and not story scripts. We'll contrast what students are asked to do in the activities (for example, reading for understanding and then picking out in the reading certain grammatical features) with drill and kill approaches (endless verb conjugations without context), and describe more of the topics of the stories/articles (a kid who has a bad day in which everything goes wrong, a brief introduction to Tennis star Rafael Nadal, a description of how some children in Guatemala make a living salvaging from garbage dumps, a short comprehensible version of the three little pigs, a discussion of the origins of the word gringo, etc.) so that buyers can more easily judge if the topics will be compelling to their students prior to purchase. Thanks again for taking the time to share your thoughts. I am by no means a new teacher. I just turned 60 the first week of school and need to renovate rather than invent my course. It is a full renovation, though as I am flipping and blending more than ever before. 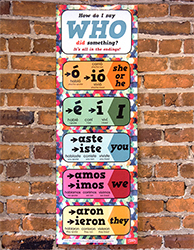 This material and the inservice on "circling" style questioning are very helpful in doing this while keeping an eye open for important grammar benchmarks in low and intermediate Spanish. I was looking for a way to change up my lessons and get away from the drill and repeat options many of us rely on. I purchased this book to get some ideas for making the lessons more engaging and not so much mundane repetition. 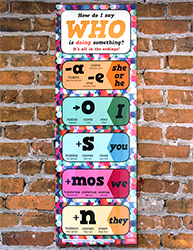 I found a wide variety of ideas to incorporate to make the grammar part of their everyday expectations. Real-life examples of why the grammar matters. 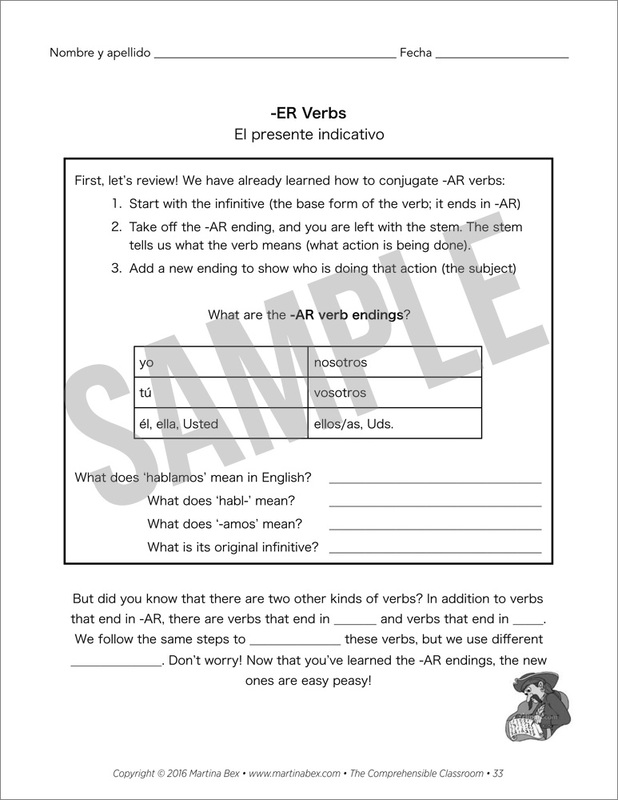 SUCH a more realistic, authentic type of immersing my kids not only in the target language, but in the way it is acquired : you HEAR the grammar, absorb its usage vs. memorizing charts of conjugations "out of context"! 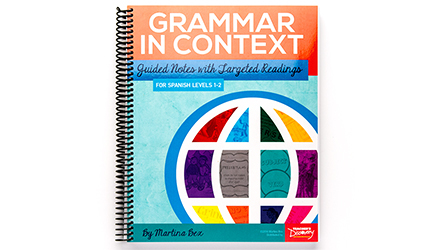 Martina Bex has written an excellent resource for students acquire language and grammatical concepts through comprehensible input ( CI). 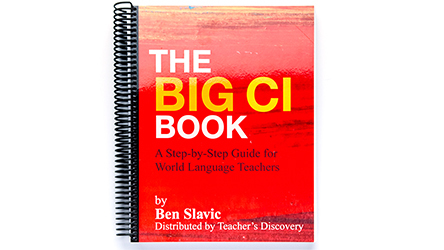 The book has practice with present and preterite tense, including infinitives, reflexives, verbs like gustar, ir/a/infinitive - it's all here with **multiple** ways to practice each concept always using *comprehensible input*. My students loved the grammar notes. They told me they really liked that there were several different ways to practice one concept rather than the usual fill-in-the-blank type of worksheet. Many said the stories that go along with the grammar notes really helped them to retain and remember the grammar! Thank you Martina!! That was an excellent teaching tool. 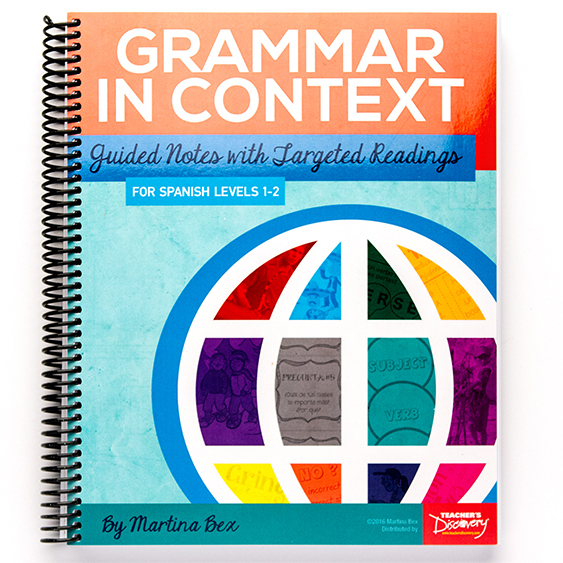 This book gave me the start I needed to teach grammar in a more comprehensible way for students without using the same "drill and kill" exercises. It couldn't open the download on my iPhone. I have to use my laptop. Who knows?